Now we can connect to our SSH server simply by clicking on Open. Now this was the "normal" way of logging in, i.e., with a username and a password. If anyone else knows the username and password, he can log in, too. So if you have weak passwords and/or are the victim of a brute-fore attack, this can become a problem. Let's change that now. Now a private/public key pair has been generated. Under Key comment, you can enter any comment; normally you use your email address here. Then specify a Key passphrase and repeat it under Confirm passphrase. You'll need that passphrase to log in to SSH with your new key. Then click on Save publick key and save it in some safe location on your computer. You are free to choose a filename and extension, but it should be one that lets you remember for which system it is. $HOME/.ssh/authorized_keys2 is deprecated and only still valid because of OpenSSH trying to be backward compatible, the actual file is $HOME/.ssh/authorized_keys, see the manual page of sshd. There is no reason why '~/.ssh/authorized_keys(2)' cannot be globally readable, obviously you do not want it globally writable. No harm in "chmod 0600"'ing but it does imply you have missed the meaning of 'public' in public key based authentication systems. I personally use 0644. This is correct. 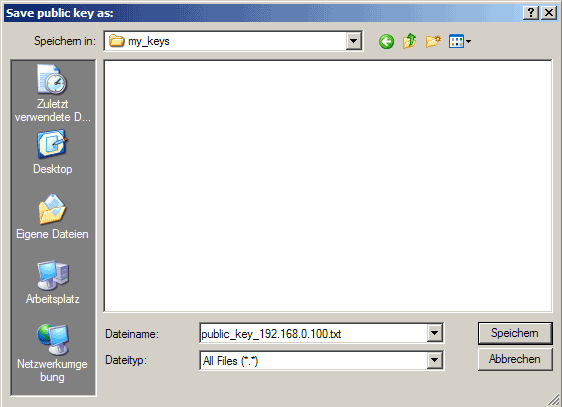 It is the private key which must be made 600 on linux systems for them to be used as outgoing connections. In fact, 400 is a better permission mode. Speaking of outbound private keys, why can't I use my openSSH private key as is with putty? Very nice how to, thanks!!! It worked for me. Really good and clear explanation. Properly step-by-step, with screenshots all the way. Even a total beginner can follow this. Great job. Thanks. After pasting the clipboard to vi you will see Insert as status mode at the bottom of the screen. Now press Esc to get in command mode and then :wq and Enter to leave (and survive) vi. On most systems nano is installed. Nano is probably easier to use. I tried saving the public key as a file (on Windows), and then copied this multi-line file to my Unix server. This didn't work. I suspect end-of-line issues. When I simply copied the public key from the field in Putty, and then pasted this single line into ~/.ssh/authorized_keys things worked. Hi, thanks for a tutorial that talks about Loading existing private keys. 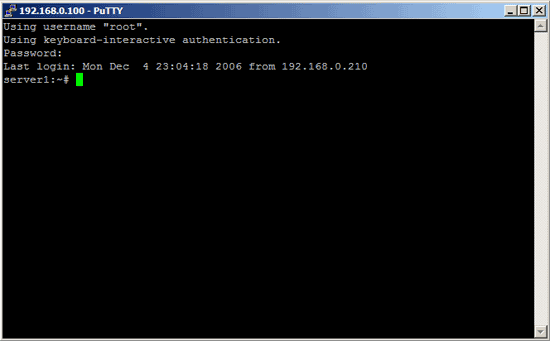 I managed to get putty connecting through SSH, with keys, to my Ubuntu Virtual Private Server.